In the best-selling novel “Divergent,” Beatrice “Tris” Prior, the rebellious 16-year-old heroine, must fight a totalitarian system to save society from civil war and mass murder. When the $85 million film adaptation opens March 21, Tris has an even bigger mission: to help rescue the sagging teen publishing and movie industries. “Divergent,” starring Shailene Woodley, Kate Winslet and Theo James, is under enormous pressure to deliver a hit. After a string of disappointing teen-fantasy adaptations last year, studio executives are looking to “Divergent” as a gauge of the publics appetite for yet another big blockbuster series. Many in the publishing industry are also hoping “Divergent” will help boost young-adult book sales, which fell last year after years of seemingly unstoppable growth. 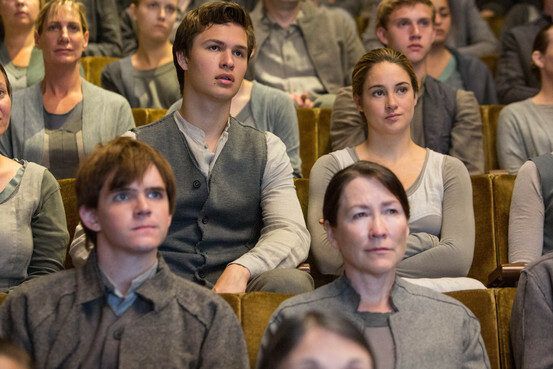 via The Divergent Challenge: Rally Teen Books and Movies – WSJ.com.